It has taken us a little bit to get our race schedule for the year hammered out. There may be a few 5 or 10k’s that we throw in for fun but we have our “A” races and the build up all set. The hardest part for me is not registering for too many races!! There are so many great runs in our area but we decided that peaking for our big races was most important. For Summer that race is the War Eagle Tail Twister 50k at Hobbs State Park, which is one of our favorite trail systems. 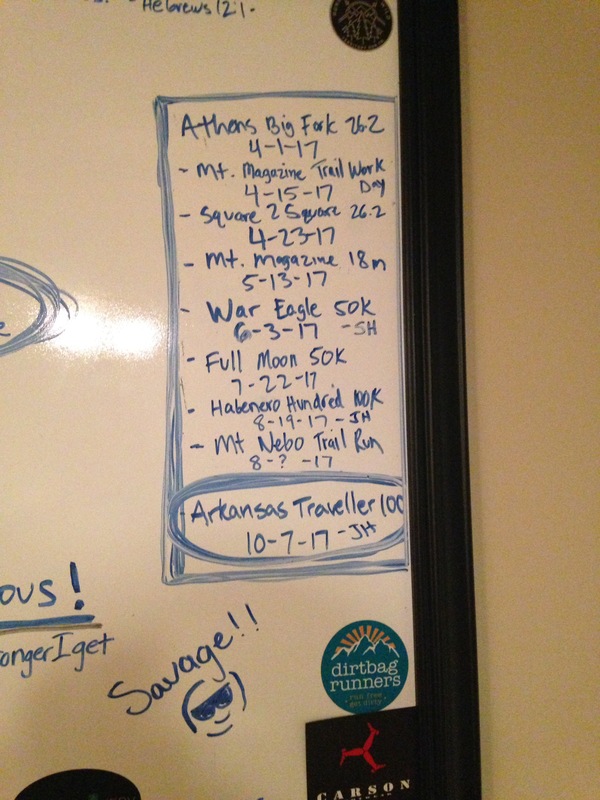 As for me, this year is all about the Arkansas Traveller 100 mile.